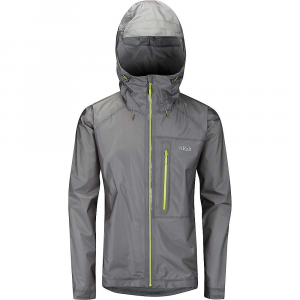 Made for the high-country escape artist, their new Refugitive Jacket combines fully waterproof/breathable protection with stretch and light weight for steep climbs and serious descents. 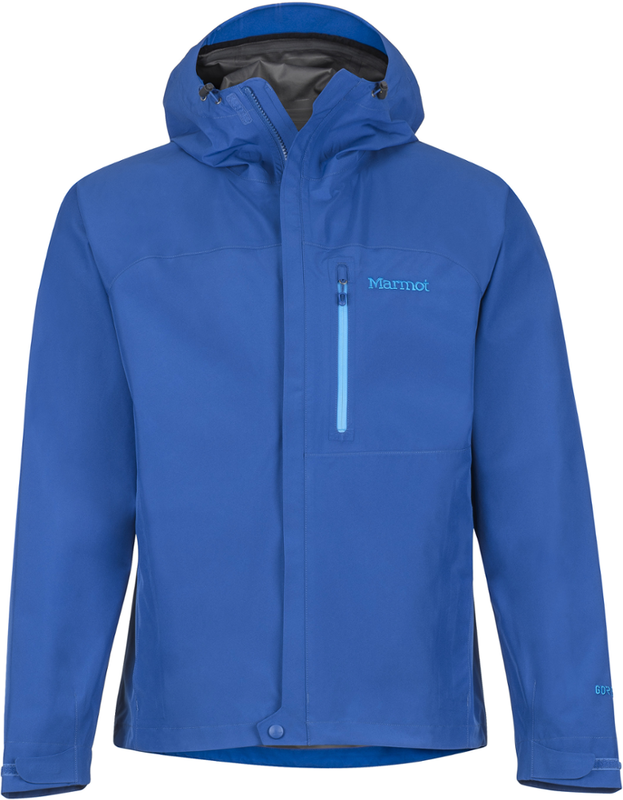 The hybrid 3-layer GORE-TEX construction has enhanced breathability throughout, but uses a slightly more robust, stretchy fabric along the upper back, shoulders and the backsides of the arms for unimpaired mobility. The Optimal Visibility Hood adjusts via an embedded single-pull cord-lock system and fits over ski and climbing helmets alike, while 2-way watertight pit-zips let you dump heat on lung-busting ascents. Pockets include two above harness-line handwarmers with watertight zippers, interior and exterior zippered left-chest pockets, and a right-side interior, stretch catch-all for spare gloves or skins. The hem cinches with embedded cord locks, and an elasticized strap at the lower back connects to any Patagonia Snow pants (and select Alpine pants) for deep powder days. With a concealed RECCO reflector. Our lightweight Refugitive Jacket combines full waterproof/breathable protection with stretch for steep climbs and serious descents. 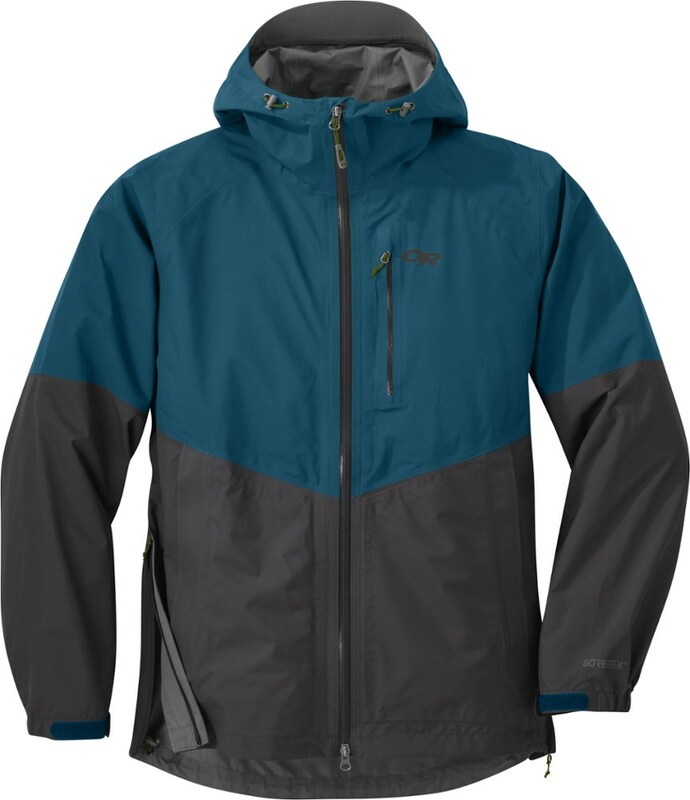 The hybrid 3-layer GORE-TEX(R) construction uses a slightly more robust, stretchy fabric along the upper back, shoulders and the back of the arms for unimpaired mobility. 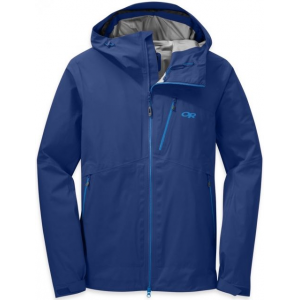 The Optimal Visibility Hood adjusts via an embedded single-pull cord-lock system and fits over ski and climbing helmets alike, while 2-way watertight pit zips let you dump heat on lung-busting ascents. Pockets include two above-harness-line handwarmers with watertight zippers; interior and exterior zippered left-chest pockets; and a right-side interior, stretch catch-all for spare gloves or skins. The hem cinches with embedded cord locks, and an elasticized strap at the lower back connects to any Patagonia(R) Snow pants (and select Alpine pants) for deep-powder days. With a concealed RECCO(R) reflector. 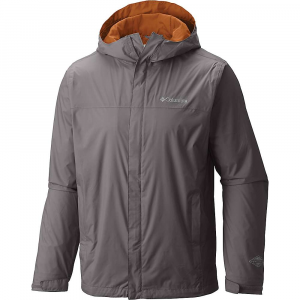 Take shelter in the Patagonia Men's Refugitive Jacket when you venture out into the backcountry to escape the crowds and lift lines at the resort. 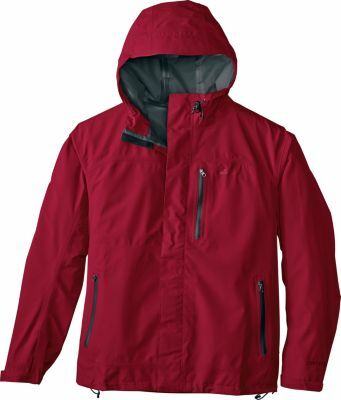 It's equipped with a lightweight, packable, and weatherproof hybrid Gore-Tex design that products you from winter's harshest storms while allowing total mobility and comfort. Gore-Tex ripstop fabric in the body offers lightweight durability, while Gore-Tex stretch fabric in the lower arms and upper back allow greater mobility where you need it most so you can ski and skin freely. Gore-C-Knit grid backer technology makes the fabrics softer, lighter, and more breathable for enhanced comfort when you're moving through untracked terrain on your own two feet for hours at a time. Watertight underarm zips let you vent excess heat when you're following a grueling skintrack. A one-hand hem adjustment system helps you seal out frigid winds, and an elasticized strap at the back hooks up to your Patagonia pants so your jacket doesn't ride up. 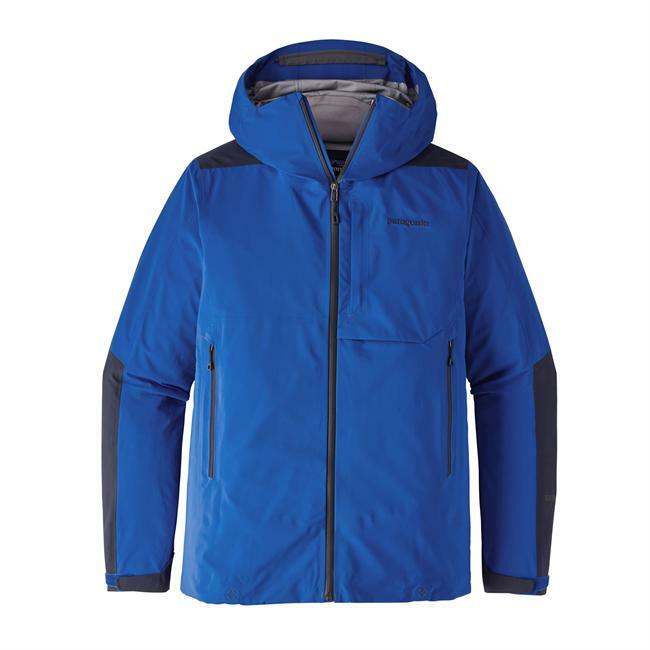 Not missing any details, Patagonia also made sure the zippered hand pockets are accessible even while wearing your pack's waist belt, so you can easily access trail treats and other small essentials. Before making your getaway into the wilderness, make sure you have the Refugitive on your side.